Arjan, Franco and Simon, the Strain Hunters, launched their Seed Bank in 2013 and strive to offer the best land races. 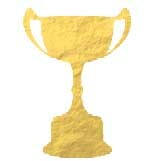 They travel the world on their quest to find cannabis land races in order to preserve and share them with growers and breeders all over the world and they even made documentaries showing the value of cannabis and its influence on people in many different contexts, but their main goal is to preserve and to protect genuine land races for future generations. The Strain Hunters have bred multiple award-winning varieties harnessing original inbred land race material and they know this plant has the power to change the world for the better. Afgooey was formerly only available as clone, but the Strain Hunters now offer her in seed form, so now you can grow this highly productive variety in your garden, grow-room or greenhouse. Afgooey is a short and bushy plant with an average internodal distance of under 5cm that delivers a very potent product. Reared in a hydroponic system she can yield 900g/m². Caboose is a crossing of the legendary Salmon Creek Big Bud and the original Trainwreck and the latter is responsible for the sometimes purple and reddish hues of the large and round calyxes in some phenotypes. Caboose is a short plant with an average internodal distance of under 5cm and has the potential to yield up to 1kg of dried buds when grown outdoors. Damn, there must be Amnesia in it! And indeed, as the name already suggests, Damnesia is the offspring of Amnesia Haze and A.M.S. (Anti Mold Strain). Plants reared from these seeds develop long branches and super-sized, elongated and very resinous flower clusters in the shape of a foxtail. In an indoor setup it is possible to harvest up to 900g/m² after 9 weeks of flowering. The name Money Maker already indicates how productive this 70% Indica/30% Sativa hybrid is. Indeed, commercial growers will be amazed about this short plant and its yields scratching at 1kg/m² after only 8 weeks of flowering. The Strain Hunters mingled the genes of Master Kush, Hindu Kush and Skunk to create this potent means to treat insomnia, pain and lack of appetite. White Lemon is the perfect choice for commercial growers for more than one reason. Not only does she yield in the range of 800-900g/m² in an indoor setup, but cuttings taken from a mother plant root easily and fast, allowing for filling a whole grow-room with very productive clones without hassle. White Lemon is a well balanced 50% Indica/50% Sativa hybrid. White Strawberry Skunk is based on a 50% Indica/50% Sativa hybrid from Switzerland and is very likely among the fruitiest cannabis varieties of all times. She is a medium to tall plant with an internodal distance of between 10-15cm and long branches, allowing for high yields. The buds are large and covered in an extreme amount of resin. Slow onset, but long lasting. Skunk Autoflowering is a classic Skunk, but with a new livery. The guys at Strain Hunters crossed it with a pure Ruderalis from Kazakhstan and the outcome is an autoflowering strain with an outstanding productivity. Under a 1000W lamp and fed well it is possible to achieve a yield of up to 800g/m²! The robust plants reach a height of 90-120cm. Only founded in 2012, Strain Hunters has strong ties with Green House Seeds, being founded by Green House’s Arjan, as well as Franco and Simon. 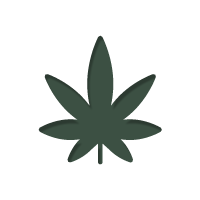 The aim was to create a completely separate seed bank that dedicated itself to hunting down and preserving the many exotic landrace cannabis strains that can be found across the globe. With these strains in hand, they are then further bred and offered to the wider market so all can experience the very roots of cannabis breeding. They are also refined into feminized, hybrid and autoflowering varieties, showcasing how these original genetics can be harnessed to create some award-winning varieties. In order to keep their catalogue of cannabis seeds accessible, they also keep costs low, ensuring even the greenest novice can sample their high-quality genetics without breaking the bank. Not only do Strain Hunters hope to bring us some of the more unique and unusual genetics from across the globe, they also spend a lot of time documenting their travels. During this, they explore how cannabis can change lives and benefit society - in an aim to dispel the ignorance that can often go hand in hand with weed. Although they have a wide variety of seeds to offer, Money Maker, White Lemon, Damnesia, and Flowerbomb Kush are fine examples of their work, and well worth a look at! Strain Hunters make sure that all their cannabis seeds are well packaged to ensure safe delivery to you. Each seed is stored within a DVD case, with the seeds visible through the front behind a protective plastic shield. 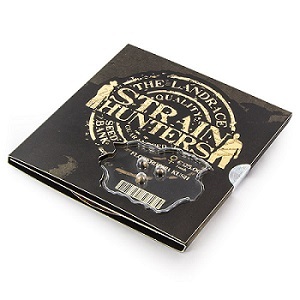 Also Included in the case is a DVD documenting the Strain Hunters expeditions, as well as a flavour wheel. 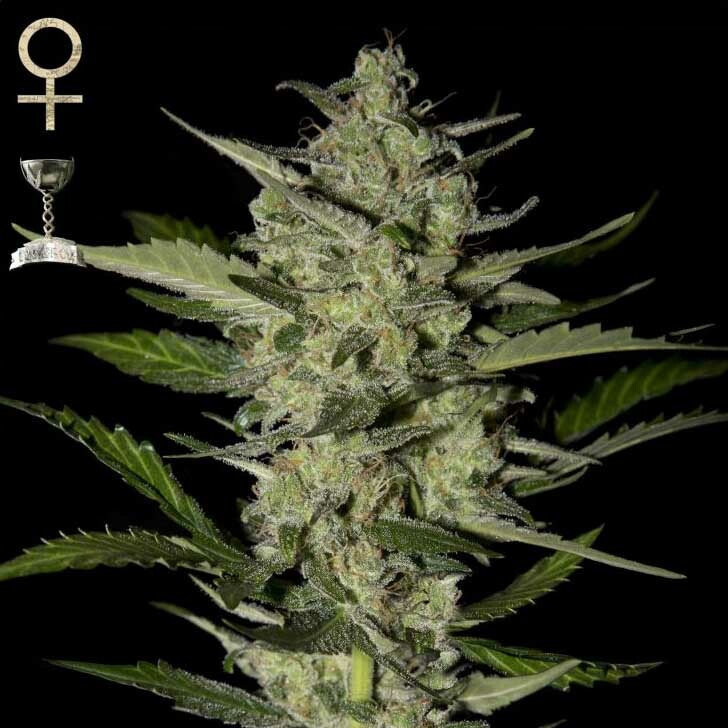 Strain Hunter’s cannabis seeds are available in quantities of 3, in both feminized and autoflowering varieties here at Zamnesia. The combination of Green Crack x OG Kush, Flowerbomb Kush is an indica dominant powerhouse with multiple awards under her belt. 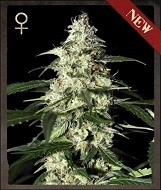 She is highly productive and able to produce her yields after just 8 weeks of flowering. This combines with strong resilience during growth and some highly resinous bud when it comes to harvest! In terms of yields, Flowerbomb Kush can grow up to 800g/m² indoors (under a 1000w light) or up to 1kg/plant outdoors under optimal conditions. The high she produces is almost narcotic, transporting the mind and body into the depth of relaxation. Skunk Autoflowering is exactly what it sounds like: a variety of skunk that flowers with time rather than changing photoperiods. It gives growers looking for fast turn arounds, an easy grow, or a strain they can grow multiple times throughout the growing season, the cannabis seeds they require. Reaching up to 120cm in height, Skunk Autoflowering is able to produce up to 800g/m² indoors when grown optimally under a 1000W light, going from seed to harvest in roughly 9 weeks! The flavour and effect are the same as a typical thoroughbred Skunk, having dank, earthy tones, and inducing a mixed mind and body high. Caboose is an indica dominant hybrid resulting from the combination of Salmon Creek Big Bud x Trainwreck. With such renowned genetics at her back, it is no surprise to find out Caboose has a lot going for her. She is a huge yielder, able to produce up to 900g/m² indoors, or 1kg outdoors, all the while staying short. Caboose’s flavour carries strong floral tones that have a slight earthiness to them. When smoked, she induces a deep, relaxing mind and body stone that is perfect for chilling. 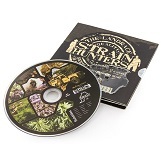 Strain Hunters’ DVD has won some awards itself, attesting to the quality of their supplementary work to help spread knowledge of cannabis, its uses, and dispel its myths. Every pack of seeds comes with this DVD, so there is no missing it!